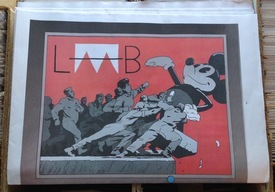 Ronald Wimberly & Co.'s LAAB Magazine is here! This GIGANTIC broadsheet – spreads measure a whopping 23" x 32"(!) 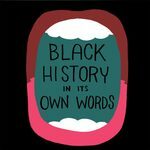 and it is divided into three sections, just like a newspaper (but, in this instance, delivering news you actually want to hear) – unlocks social strictures and unpacks social structures employing Black/ness and (its) representation as key and signifier. This issue presents readers with the LAAB manifesto and includes interviews with Alexandra Bell, Trenton Doyle Hancock and Saul Williams. 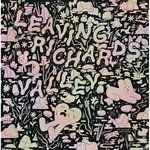 Then there are some excellent illuminated essays – primarily by Wimberly – that are both eye-opening and consciousness-expanding (don't allow yourself to be intimidated by the giant expanses of type; these essays are well worth your time and all efforts expended in their absorption will be amply rewarded). And, last but far from least, a big pile of amazing GIANT-SIZE comics by Ron Wimberly!